TEPS is a Tanzanian NGO advocacy group that highlights the plight of the African elephant in Tanzania. The group has been foremost in challenging the Government of Tanzania to accept that there is a crisis in the national elephant population brought about by poaching. As a direct result of TEPS’s campaigning, the organization was invited by the GoT to assist and work with Wildlife Department in planning Operation Uhai, a second anti-poaching drive to bring an end to the slaughter of Tanzania’s elephants. To become Tanzania’s most important independent organisation responsible for the collection and dissemination of information to be shared among all committed individuals and organisations, whether public or private, in pursuit of the TEPS vision (see top of homepage). To achieve national and international recognition as an organisation important to the conservation of the elephant as a species. To ensure the containment and minimising of poaching levels. To establish TEPS as the link point for all individuals and organisations in Tanzania seeking to conserve the elephant. 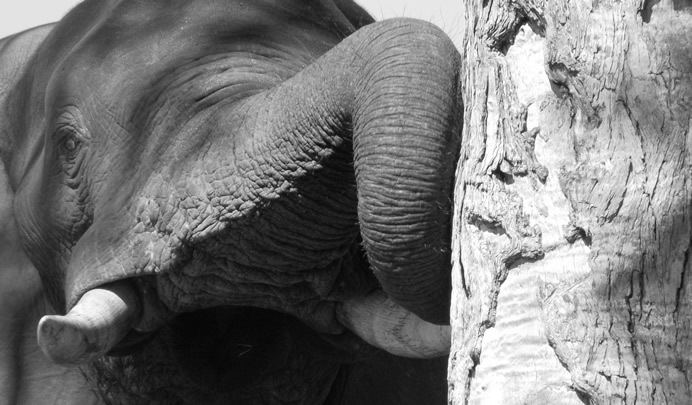 To provide a research and analysis capability in the areas of forensics, telemetry and other methods, for the provision of high quality, fully independent information relevant to elephant conservation. To provide the government of Tanzania with a mechanism to prevent any future escalation in poaching activity. To become a major contributor to international campaigns to suppress trade in wildlife products. To provide comprehensive data on elephant movement and behaviour so as to help facilitate the development of effective land use plans in rural areas with elephant populations.